The R2R DAC Board features an on-board digital-to-analog converter R2R that uses R/2R-network and rail-to-rail operational amplifier MCP6284 (450 uA, 5 MHz). The board is connected to a prototype device via an on-board IDC10 connector. 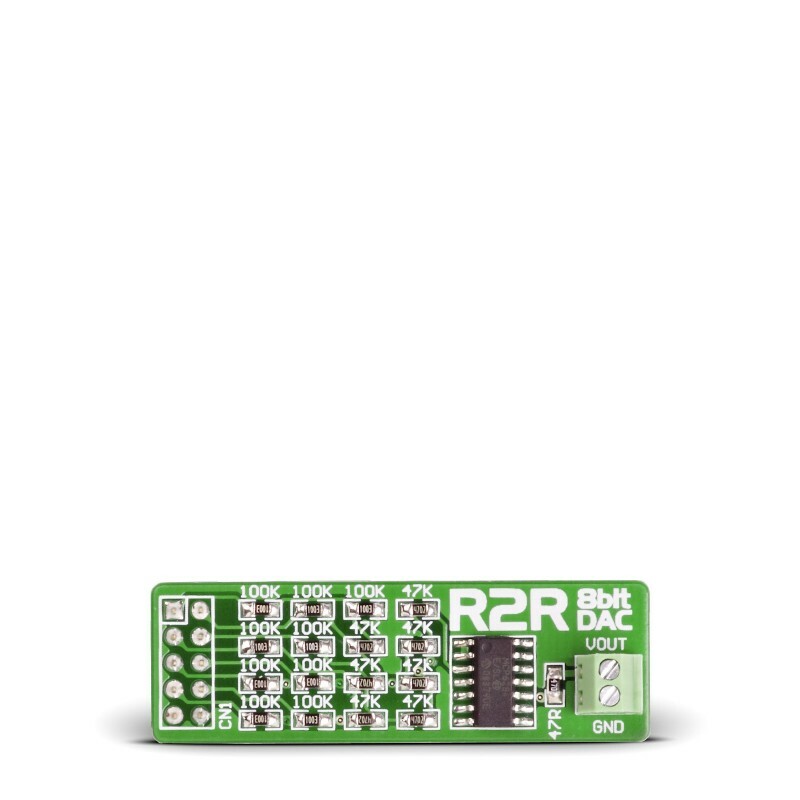 The R/2R ladder DAC is an 8-bit Digital to Analog Converter. An 8-bit value from the microcontroller port will be converted into an equivalent analog voltage by means of the R/2R resistor network. The R/2R ladder DAC makes use of only two resistor values, but it requires 2N resistors to implement the N-bit conversion. The resistor values are in the ratio of 1:2. The R/2R DAC board output is provided with the MCP6284 operational amplifier used as a buffer in order to drive loads with current consumption of up to 20mA. Key Features 8-bit resolution of Analog-to-Digital conversion. R/2R DAC. Current consumption of up to 20mA.